I’ve just realised that the Summer Solstice happened this morning at about 6.47am British Summer Time (5h 46m 45s UTC). Astronomy buffs will know that’s the time when the Sun reaches its most northerly position in the sky, leading to the longest day in the northern hemisphere. Since it’s also the bicentennial year of Felix Mendelssohn it was a no-brainer to decide to celebrate by picking one of the beautiful pieces he wrote as music for the play A Midsummer Night’s Dream by William Shakespeare. Whenever anyone mentions that play I can’t help remembering the version of it we did at School. I only got to act in two plays when I was a schoolboy, but they were both authentically Shakespearean in the sense that all the parts, including the female ones, were played by boys. It was an all-boys school, you see. My best role was undoubtedly as Lady Macbeth in the Scottish play – a much more interesting part than her husband, if you ask me. The only other attempt at acting I ever engaged in was in A Midsummer Night’s Dream. Although I say so myself, my Bottom was the talk of the sixth form. I should also mention that I also saw Andy Lawrence playing the same part in the Queen Mary Players production of The Dream. I wonder if he remembers doing that? Curiously, the phrase from which I got the title of this post (“this is very midsummer madness”) is not from this play but from Twelfth Night, a play whose title refers to winter time. I think it might have been a joke. Postscript: I’m aware that some people might have been offended by some of the clerihews recently posted on this site. Sometimes the lure of a rhyme can take these into areas best left unvisited. I’d therefore like to offer these, the closing lines of A Midsummer Night’s Dream, by way of an apology. 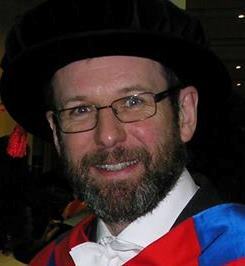 I’ve also now taken the Clerihews themselves offline, owing to a number of attempts to post abusive and/or threatening comments on that page (none of which came from anyone actually named there). I’m glad at least that nobody tried to do a clerihew about Puck. I mean, how could you possible find a rhyme for “Robin Goodfellow”? I thought you might like to see this image from Herschel, which I got from the ESA website. 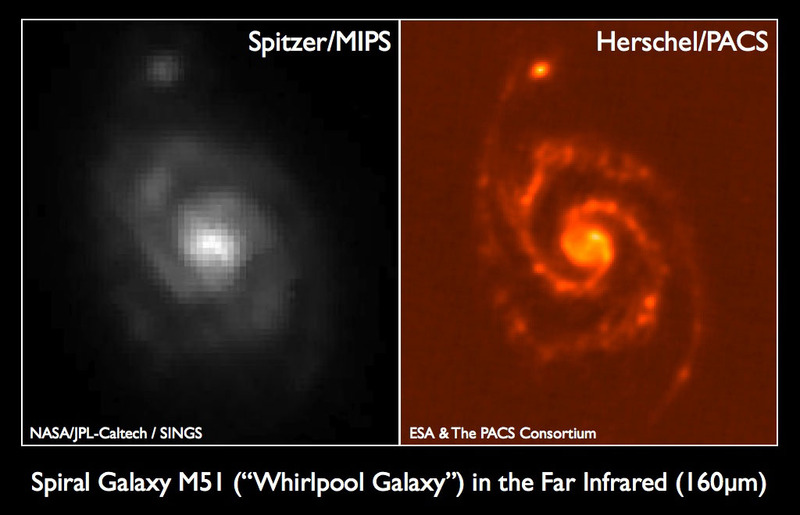 The Spitzer/MIPS and the Herschel/PACS images of M51 at 160 µm are shown above. The advantage of the larger size of the Herschel telescope is clearly reflected in the much higher resolution of the image: Herschel reveals structures that cannot be discerned in the Spitzer image. By golly, it seems to work!